A female Anopheles mosquito acts as a deadly hypodermic, injecting the malaria parasite when she feeds on human blood. Nearly half a billion people get malaria each year. More than a million die. After decades of neglect, the world is renewing its fight against the disease. 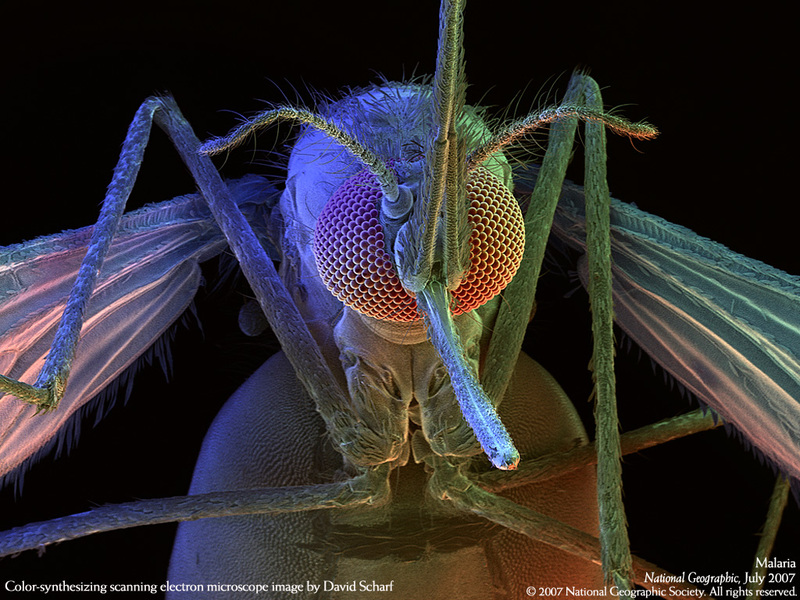 Color-synthesizing scanning electron microscope image by David Scharf. Copyrighted by National Geographic.